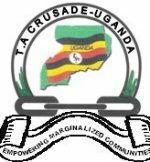 Twekembe Association Centre for Rural Systems and Development (T.A-CRUSADE- UGANDA) is a Grassroots Not for Profit (NGO Number: S.5914/8219) started way back in 2003 by a group of visionary self driven young leaders with a great passion for transforming rural underserved communities in Uganda. We are very much committed to unleash the potential and power of the future generations, and awaken their minds, encourage them to have passion for rural development, and create a network of extraordinary socially responsible leaders to tackle the complex problems that have affected the continent of Africa for decades. We believe that there is a high need to prepare the current generation of young future leaders in bringing real and lasting change and transformation to rural parts of Uganda. Responsible leadership and social entrepreneurship is required to tackle the most pressing social problems in communities in Uganda today.